Thailand Precious Jewelry Companies have come on in leaps and bounds. A report back before the turn of the millennium highlighted one major fault in the fine jewelry industry in Thailand, a lack of innovative and up to date jewellery designs. Some think of Thailand as a nation of copies and copiers. In the jewelry design scene this was certainly the means to an end in years gone bye. Copying precious jewelry designs though means that always your products will be out of date. Thai jewelry manufacturers have learnt their lesson well. 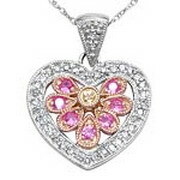 Jewelry designers and precious jewelry manufacturers are turning out some pretty good items nowadays. Bangkok Companies is a full service product sourcing company in Thailand. For All your precious jewelry needs please email bangkokcompanies@gmail.com with your requests. Hi Jewel Ltd. is a fine gold & silver jewelry manufacturer in Thailand with quality precious and semi-precious gemstone and diamond in the hub of gemstone country Thailand. 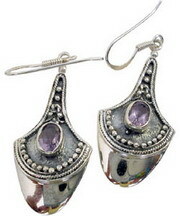 We can produce all kind of jewelry with minimum cost & quality in timely delivery. We have thousands of design available. New design are released on day to day basis. High Speed Trade Co., Ltd is a young and dynamic company that has established itself with an objectives of diversification and internationalization in Gem Stones Export. We Supply and Export Precious and Semi Precious Stone Jewelries as well as Hand Made Beads with the most reasonable Price on the market. The company dedicated itself to the development of bilateral and multi-lateral trades in conjugation with professional manufacturers. Blessed with the vast amount of experience that shows True Colors through a large number of fashionable rings, earrings, bracelets, pendants and necklaces, all perfectly handcrafted to meet the jewelry needs of all budgets. As custom lapidaries, master jewelers, and purveyors of boutique precious gems, Imperial Jewels is committed to complete customer satisfaction. From finding the products you need, to ordering at ease, to safe shipment arrival, IJ is a recognized leader. 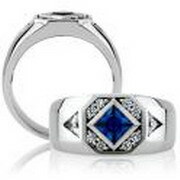 Our understanding of the jewelers real needs translates into superior products and services. We produce finished gems that are calibrated to exacting tolerances, cut to precision, and polished to perfection. 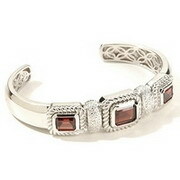 We also offer diamonds, fantasy cuts, and concave gemstones. Our handcrafted jewelry is noted for its fine filigree, engraving, and milgraining - all of which are performed by skilled in-house artisans. ISOGem is the family business. We clone and copy jewelry with the best gems and precious stones. 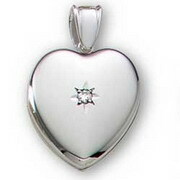 We do with every type of jewelry ranging from engagement rings, wedding rings, custom pendants, diamond earrings. We are the manufacturer and exporter of fine gold jewelry in 14-18kt, exporting worldwide setting in diamond and precious stones. We have our team of designers to designs a unique for the world market We also can produce as clients' designs too. Sigma Design Co., Ltd. Is a Bangkok-based manufacturer of gold jewelry including rings, necklaces, bracelets, pendants, etc. 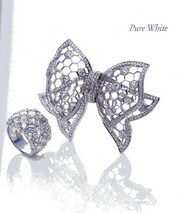 Set with diamonds, precious our semi-precious stones. The company-owned factories are located in the eastern suburbs of Bangkok. Products: Manufacturer of all types of gold jewelry. We are one of the leader of the gem stone factory in Chantaburi Province in Thailand. We specialist in precious stone and we are Manufacture for all kind of jewelry. We have our own worker for do casting and waxing and we do take order from customer. We do accept a small order too. Established in 1917 as a gold smith factory on the first gems and jewelry street in Thailand by Lertsintawanon's family. Around mid 19th the jewelry store was opened to the public, precious jewelry and precious gems stone were available since. Hence v. N. Gems shop, vannee gems which operated by the 2nd & 3rd generation of lertsintawanon's family was started for the new era in the year 1991. With professional gold smith & gemologist, the shop provide various collections and made to order services annually. 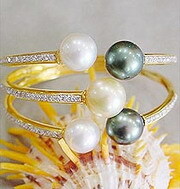 To create innovative and original jewelry designs, ging collection is developed as an art for living creature. Vannee gems serves as host and family's jeweler for those who enter through our door. Making exceptional design and unleash an imagination within is our truly inspiration. Venus gems has been one of the leading designer, manufacturer and exporter of fine gold jewelry, set with diamond, precious and semi-precious stones in 14,18 k yellow, white and rose gold. It further represents the unique combination of modern innovation with over century of experience. As YCP Jewelry Company Limited, we are manufacturer and exporter from Thailand. 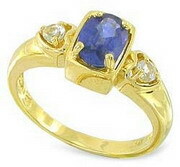 We are specialize in multi sapphire, precious and semi precious jewelry. We have been in this business for more than 10 years and export to more than 40 countries our the world.